“He was a wise man who invented beer.” This simple and straightforward remark sounds like a last-minute pitch of an obscure craft beer producer, but in reality, it is what Plato said more than 2,000 years ago. 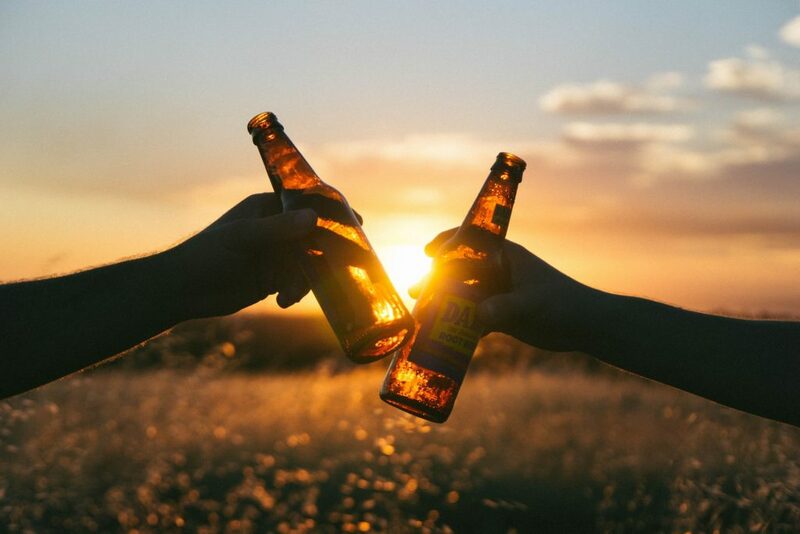 Even today, most people would agree with the famous Greek philosopher as the beer is one of the most consumed alcoholic beverages in the world. One of the worse feelings for a beer lover is holding a sealed bottle of ale in his hands and having no means of opening it. Of course, some lager idolizers have found innovative ways of solving this issue, such as using a fork, a lighter, the edge of the table or even their teeth, but nothing compares to popping the cap off with a quick twist of a bottle opener. If your friend is constantly dealing with this kind of trouble, you can surprise him a nifty beer bottle opener as a gift. Most of these gimmicks come in practical forms such as key rings or belt buckets, which ensure that they will always have a beer opener close by when that unbearable beer craving kicks in. An ale lover is someone who enjoys drinking this brew almost every day of the week. Whether they are at home, at a party or even on a fishing trip, they need to have the “golden nectar of Gods” with them at all times. In this regard, the perfect gift for a beer lover is a best beer growler. They are ideal for carrying the brew with you wherever you go. It is an air-tight jug that holds draft beer in perfect condition for days in a row. This transport container for ale comes in glass, ceramic or stainless steel. You can use it to bring home some lager from the local brewery or even carry your homebrew to parties and camping trips. Another pesky issue that beer lovers usually face when they crave for a nice, cold bottle of ale is warm beer. Sometimes waiting for it to cool down seems like an eternity. Fortunately, with an icicle-shaped beer chiller, you can lower its temperature in just a few minutes. Icicle-shaped beer chillers look like wintery icicles with a cork on top. They are easy to use and practical when you have a bottle of warm lager that you want to enjoy as soon as possible. To cool down your ale, just open the bottle, take a sip of the beer to prevent future spilling, and insert the icicle chiller and let it rest for a couple of minutes. It is needless to mention that the icicle-shaped accessory should stay in the freezer at all times to ensure its cooling effect. A true beer lover always has some ale around to help him unwind or to share with his drinking buddies. A great gift for someone like that is a beer caddy. These crates can carry between six and twelve bottles or cans of ale. They are usually made from polished wood, but you can also get them in stainless steel or sturdy plastic. Beer caddies make for great accessories on camping trips, barbecues, and family outings. Most of them come with bottle openers, to make beer drinking easy and fun. Also, if you want to take it to the next level, you can opt for a stainless steel beer caddy with special pockets a bit taller than the usual beer bottle. The extra space is ideal for a nice layer of ice that will keep the beers cool and refreshing. Freezer glasses are perfect for beer lovers that enjoy their ale as close to freezing as possible. Most of these accessories are made from plastic, which makes them affordable even in sets of six or eight pieces. Unfortunately, they do not keep the beer cold for more than ten minutes. The ideal gift for a lager-worshipper is a freezer glass from double-layered freezer glass. These drinking beakers offer the ultimate experience of drinking ice-cold beer for as long as 30 minutes. More than that, this freezer glass for beer lovers needs just an hour in the freezer to reach its optimal chilling temperature. If your beer-loving friend is also an avid traveler, then a beer cap world map will suit him perfectly. This stylish wooden board displays the map of the entire world with holes drilled in almost every country where you can fit beer caps from the ale produced there. This gift will boost your friend’s pleasure of drinking lager wherever he roams and to collect their caps for the world map collection. Beer soap is ideal for people who cannot live without beer even when they take a shower. What may sound like a farcical trick, the beer-scented soap is actually a hygiene product of the highest standard. It contains some of the same ingredients used in the beer brewing process and delivers a fresh, spicy fragrance. If you don’t want to smell like a downtown bar, you can order it with aromas that resemble chocolate and roasted coffee.